We do fast, affordable and professional appliance repair in Argay! If you are looking for appliance repair in Argay, Oregon, we are the company for you. Our company has been doing professional appliance repair for both individuals and private companies. We are highly skilled in all brands and models of appliances. For example, Asko, Bertazonni, Bosch, Dacor, DCS, Electrolux, Fisher&Paykel, Frigidaire, GE, Jenn-Air, KitchenAid, La Cornue, LG, Liebherr, Marvel, Miele, Perlick, Samsung, Siemens, Sub-Zero, Thermador, Traulsen, True, Viking, Whirlpool, Wolf and many more. All of our technicians are factory trained and certified. They are up to date with the latest appliance technology. No matter how complicated or simple your project is, we will treat you with respect and give you excellent results. Our technician will thoroughly examine your broken appliance and find the most reasonable way to fix it. We will get you the genuine, high-quality parts and will install them correctly. Your appliance will perform as good as new. We guarantee it! Our team is one of the best in Oregon! We value our customers and treat them right. You can be sure that our technician will be respectable and will take his time explaining everything to you. He will give you an accurate estimate of a fair and affordable price. You always get a FREE service call with repair and 90-day labor warranty. Check out our homepage for coupons and discount on appliance repair in Argay. 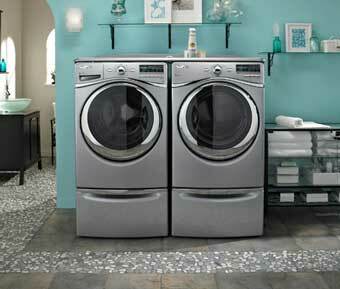 Oregon Appliance Repair has been doing major appliance repair for more than 30 years. We have several locations throughout Oregon including Argay, Bend, Eugene, Crook County, Deschutes County, and Jefferson County. We are a family run and family managed a company and we take pride in all the local work we do. This work includes refrigerator repair, washer repair, dryer repair, dishwasher repair, stove and range repair, oven repair, steam oven repair, microwave repair, freezer repair, ice maker repair, barbecue repair, pizza oven repair, patio heater repair and much more. Our factory trained technical team is licensed to handle projects of any size. That includes commercial appliance repair for restaurants, cafeterias, and catering companies as well as for regular consumers. But of course, we are happy to do simple kitchen and laundry room repairs for residential customers as well. No project is too big or too small for us, and we will treat you with equal respect and give you all of our attention! 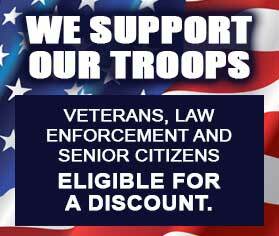 We serve Portland, Alameda, Alberta, Aloha, Argay, Beaverton, Belmont, Brentwood-Darlington, Centennial, Clackamas, Collins View, Downtown Portland, Eastmoreland, Eastside Portland, Grant Park, Happy Valley, Hawthorne, Hillsboro, Irvington, Kenton Arbor Lodge, Lake Oswego, Laurelhurst, Lents, Milwaukie, Multnomah, Northwest Industrial, and Northwest Portland. For appliance repair in Argay just give us a call at 541-948-8835 or fill out our short contact form. Our team will immediately set up a convenient appointment for you. Our technician will be ready to go and fix your appliance. He will make sure to bring all the tools and equipment to your appointment and will even pack some of the parts that might be necessary. As soon as he gets to your place our tech will take apart your appliance and clean. He will thoroughly examine it and test it. After this, he will report to you his finding and will give you a plan of action. Sometimes the problem can be fixed easily with just small repair or changes to the programming of an appliance. But sometimes parts will need to be changed. We have suppliers for all the major brands of appliances including luxury, European and pro kitchen brands. Our company will get you the right parts fast and will install them professionally. We guarantee that your appliance will be fully functional and will perform well. Our tech will install the part and will test the appliance to make sure it is working and safe to use. He will clean up after himself and dispose of all the old parts. We are your best professional choice for appliance repair in Argay. Our company has many years of experience. We know all brands and models of appliances out there. Our techs are factory trained and certified which makes them superior to fixing any kind of problem. Not only are they knowledgeable but they are also up to date on all the latest trends and inventions in appliances market. If you are in need of appliance repair in Argay, please call us at 503-488-5869 or fill out our short contact form. We will be happy to set up a convenient appointment for you. Our friendly and highly skilled licensed technicians will soon be on their way to repair your appliances. If you need kitchen appliance repair, washer and dryer repair or commercial appliance repair we can help you right away. Our service area includes Orenco Station, Overlook, Pearl District, Portsmouth, Powellhurst Gilbert, Rockwood, Rose City Park, Roseway, Sellwood Historic District, Sellwood Moreland, Sherwood, Slabtown, Southwest Suburbs, St. Johns, Tigard, Tualatin, West Linn, Westmoreland, Westside Suburbs, Wilsonville. 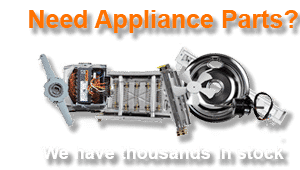 If you are looking for appliance repair in Argay, Oregon, we are the company for you. Our company has been doing professional appliance repair for both individuals and private companies.